The last thing Maisie Martin thought she’d be doing this summer is entering a beauty pageant. Not when she’s spent most of her life hiding her body from everyone. Not when her Dad is AWOL for Christmas and her best friend starts going out with the boy she’s always loved. But Maisie’s got something to prove. And she’s not going to let anything or anyone – including herself – hold her back. Maisie goes to a lot of effort to hide her body from others. When everyone else is swimming on the beach, she’s on the sand wearing jeans. Maisie avoids the summer beauty pageant because she doesn’t feel like she’d get in, despite being very keen to be involved. She’s a kind, compassionate girl who has to learn to love herself, and above all else, she needs to learn that she is worth loving. Just because someone is a certain body size doesn’t mean they don’t deserve their happy ending. The novel takes place over one summer holiday. Maisie Martin accompanies her mum and her glamorous childhood best friend Anna to the beach, where she’s forced to face her unrequited crush on Seb. Unfortunately, Maisie’s dad can’t come on holiday because he has to work, but over the course of the novel her dad grows more and more distant and her parents are fighting and Maisie wonders if there’s more to his absence than he’s saying. What I Like About Me is written in diary form, so the book allows for Maisie’s voice to really shine through the pages. She’s sassy and intelligent, but also really considerate. She wants to love and be loved, and she has always wanted that with the gorgeous Seb. But when Seb and Anna start dating, Maisie forms a bond with an unlikely friend — Beamer. Maisie has poor self-esteem, particularly when she’s around her sister Eva. Her sister has always been a high achiever and popular, and thin, and Maisie’s confidence slips whenever she’s around her. When Maisie applies to be in the local beauty pageant and is accepted, she must learn to love the body she has and to stop comparing herself to others. She’s beautiful — inside and out. One of the strengths of this book is how well Jenna has captured the glorious Australian summer and the teenage experience. Reading it, you can remember how it feels to hang out with your friends by the beach, but readers will also relate to how nervous and worried you got as a teenager whenever you had a crush on someone else and you weren’t sure if they felt the same way. Young YA readers will love this book, and there’s plenty of teen romance in these pages to satisfy young fans of romance. The most important relationship, however, is the one that Maisie has with herself. How has your love of romance fiction evolved or changed since your teenage years? I’ve been a sucker for romance ever since I was a kid. Even when I was 8 and reading The Baby-Sitter’s Club, my fave stories were ALWAYS the ones where one of the girls had a crush or went on a date. That never changed as a teen and has carried on through to adulthood – if anything, I’ve embraced my love of romance more and spend more time reading it! It’s my comfort reading and happy place. Alongside writing your novel, you also have years of experience writing short-form pieces for outlets such as Girlfriend and Buzzfeed, and now many more through your freelancing career. What do you like about short-form writing, but also novel writing? How do the two compare? I like writing about a variety of things, and sharing my thoughts and feelings on topics that are interesting me at any given moment. With short-form writing, it’s great to have an idea and quickly be able turn it around so you can see it published and immediately get feedback on it. Novel-writing is obviously a much bigger and much, much longer process. It’s a lot more work overall but it’s incredibly rewarding and satisfying. To have people contacting me about how much they love What I Like About Me, after years of hard work, means the world to me. 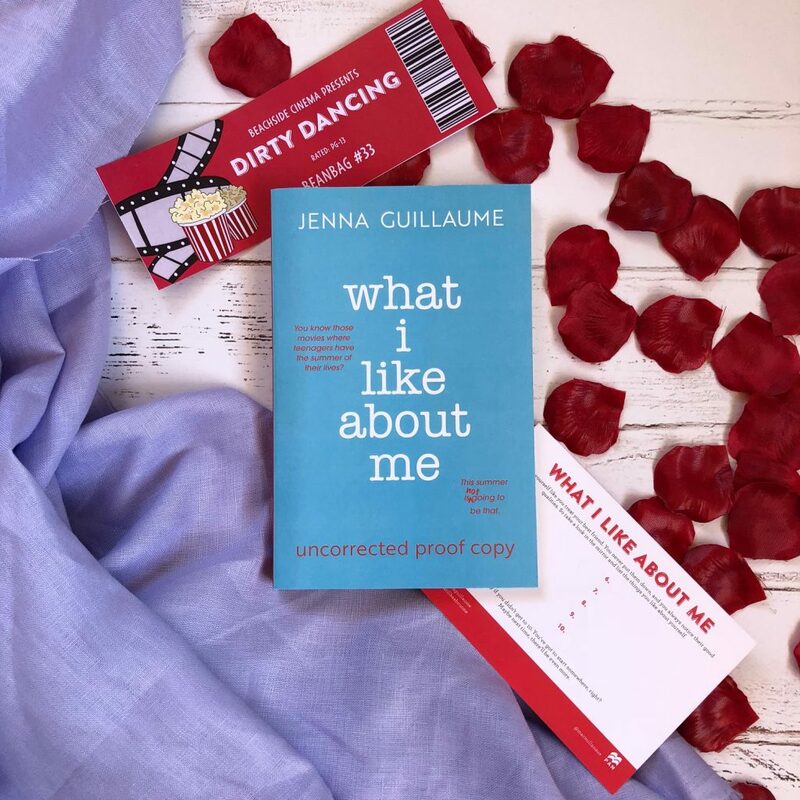 What I Like About Me explores many important messages and topics – self-esteem, body positivity, bullying, relationships etc. But it’s also about Maisie learning to love herself. 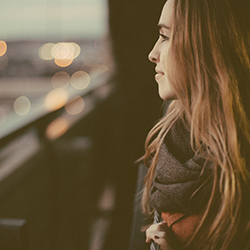 How important do you think it is for a teenager to reflect on what they like about themselves? Is this something you wish you could tell your younger self, given the chance? When I was a teen and even as an adult, every time I looked in the mirror, I’d automatically see the things I didn’t like about myself. I really wanted to challenge that all-too-natural instinct and make people stop and consider what they actually do like about themselves. I think girls in particular are socialised to minimise their accomplishments and strengths, when really we should be recognising and celebrating what makes us ALL great. I always say you should treat yourself like you treat your best friend – you point out all their good points and don’t criticise them, so you should love yourself like that as well. You deserve nothing less. And finally, is there anything you can tell us about what you’re working on right now (either novel or freelance writing)? I’m freelancing for a lot of publications – like the Sydney Morning Herald, Junkee, GOAT, Flicks and even BuzzFeed! It’s a lot of fun to be writing for different audiences and on a range of topics. In terms of novel-writing, I am working on a follow-up – I can’t say too much, but it is another YA rom-com standalone. It’s hopefully going to be a lot of fun!